48 pages of the craziest crossover ever to occur! Look at the title and you’ll know we ain’t kiddin’. The Punisher has set Archie in his sights and Riverdale High School will never be the same! The Punisher will never be the same! Cross-company calamity featuring the works of top talents from both Archie and Marvel. 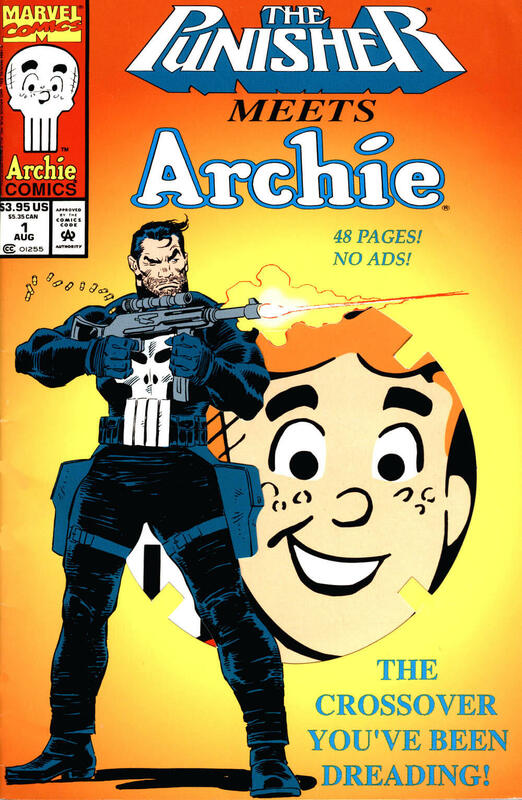 This Archie Comics version of the crossover is the same as Marvel’s except it features a non-die-cut cover by Stan Goldberg and Henry Scarpelli.